Beating in the center of Berlin’s Kreuzberg neighborhood is a weekly street food festival that brings together artisans cooking up the best non-menu items from all around the world. Reflective of Kreuzberg itself, once the shunned, poor, and mainly foreign part of town, street food is being embraced for many of those now exotic qualities. Thursday nights from 6pm-10pm within the brick walls of Markthalle Neun (9), chefs from all over the world serve up their favorite street food from back home. And every Thursday night you’ll find a bright-smiled face waiting for you in front of the Holy Everest stall set up near one of the main entrances. G.B. 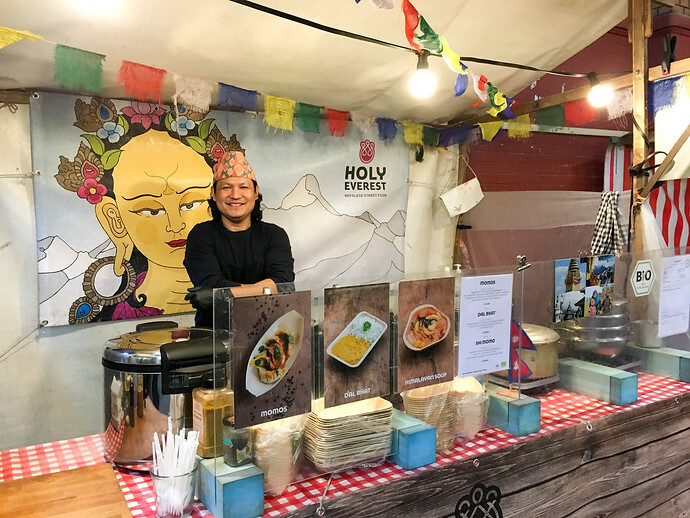 (Rajesh) Lama wants people to learn about Nepalese cuisine in the best way possible: by tasting it. So often G.B. says, the “Nepalese” food you find at any given restaurant is actually Pakistani. Similar but not the same, G.B. serves vegetarian momos, dal bhat, Himalayan soup, and the desert shi momo. Markthalle 9 is the only place in Berlin, Germany you can find these Nepalese foods, which is why I affectionately call G.B. ‘momo man’. 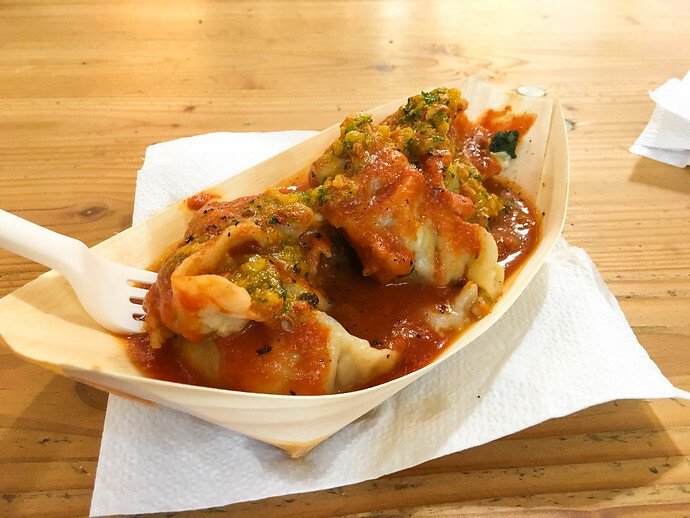 A momo is a type of dumpling that comes in a number of varieties but the ones at Holy Everest are vegan, steamed, and filled with peas, cabbage, spinach, carrots, garlic, (the full ingredient list is posted on the stall) and covered in a seductively spicy red tomato sauce. You add a little chutney on top at your discretion. Clearly G.B. 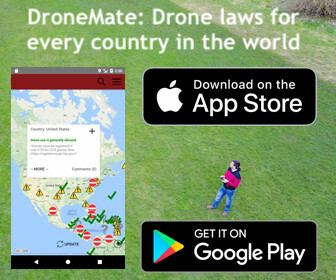 has a system. He effortlessly moves momos from bottom to the top of a three layered steamer, calmly serving a long line of customers in between. They smile, he smiles. Thursday nights the street food festival is an eating, drinking, and lounging celebration. Among the vendors you can find Japanese takoyaki being prepared by a young couple from Osaka (where this fried squid ball originated), homemade chocolates, and a wide spread of Turkish meze (appetizers) you’re not likely to find at a restaurant outside of Turkey. Stalls run out of food fast and the lines are long, so it’s best to arrive early for the full selection of eats. Arrive close to closing time and you can avoid the bulk of the crowds, but you’ll be limited in the foods you can find. (The beer however, never runs out.) Other days of the week, there are more special events. The first weekend of each month there is a breakfast festival for example; Saturdays are the artisan market. Currently, G.B. is planning on opening a true Nepalese restaurant in another part of the city over the summer so he can reach, and teach more palates in Berlin. 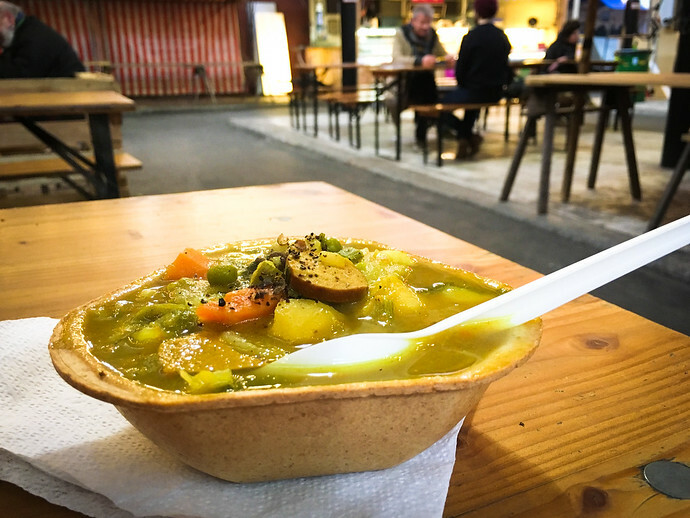 But you shouldn’t miss a Thursday night at Markthalle 9 for a taste of the worlds best street foods, most easily reached via the Gorlitzer Bahnhof metro stop, a 7 minute walk away. Be sure to visit Holy Everest, say hello to G.B., have some momos, and you too are sure to have a smile. You know these pictures want me to dig into Momos right now.. My first encounter with momos was in Gangtok way back and today the Momos are on every street corner of Delhi…. Thanks, it makes me hungry too every time I think about those momos!